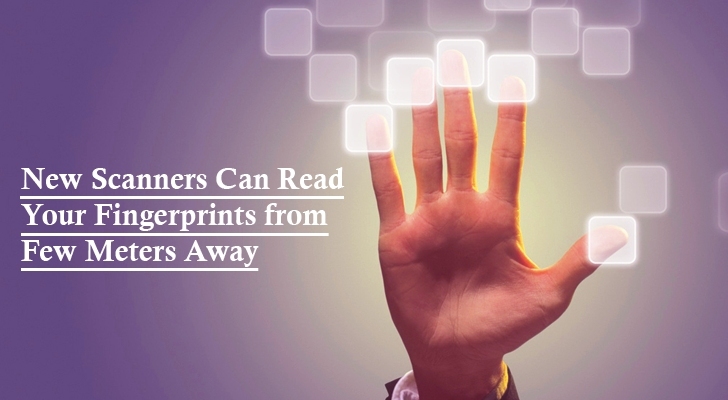 Until today, there existed such Fingerprint Biometric Readers that required your touch to authenticate yourself as an authorized person. However, the latest research shows that the future of fingerprint scanners lies in a "no-touch" activity by an individual for gaining access. Recently, NIST (National Institute of Standards and Technology) has funded a number of startup and companies to develop touchless Fingerprint readers. The Contactless Biometric Technology requires the person’s presence, but from meters away. As the fingerprint scanners can sense and read your fingerprint information while you are standing few meters away from the scanner. The touch-free technology is such where authentication is done with a faster speed, saving time while giving importance to hygiene when compared to conventional biometric devices. Imagine a situation, where there’s a long queue and to pass through biometric fingerprint sensor, you just need to wave your hands, rather than to touch the sensor. Sounds easy as well as time-saving. Basically, the objective of this project "is to produce open testing methods, metrics, and artifacts that will support future certification of these types of [biometric] devices for inclusion on Government Certified Products Lists." The 'fast-capture non-contact' devices as NIST calls it, is undergoing several testings after many prototypes of the sensors developed by various developers were submitted to NIST. NIST is facing various issues, one of them being the largest challenge that "this new technology produces images that are fundamentally different from existing images," says Michael Garris, NIST biometrics senior scientist. Research and development (R&D) of such an intense technology would not be a task of one man’s army. Therefore, NIST is funding various organizations for their support in overcoming the challenges they are facing as well as manufacturing of the devices. NIST has also started a program called Cooperative Research and Development Agreement (CRADA) where organizations and developers can participate to make this technology a reality. Contactless Fingerprint Scanners: A Weapon for Hackers? Cloning it using high-resolution photographs of target’s hand. However, the Contactless Fingerprinting Devices doesn't even require person's touch to steal their fingerprints. So, this new technology could be an easier way for hackers to capture fingerprints of users in a large scale. They only need to do is – holding a scanner and having a casual walk in a mall or near your victims.